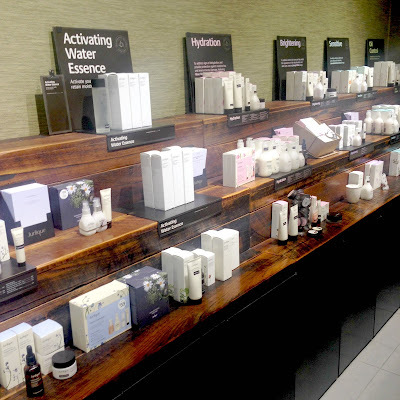 Recently, I was given the opportunity by Jurlique to head into their store in Wintergarden, in the heart of Brisbane to experience one of their Classic Signature Facials. Keep reading if you would like to find out my thoughts on my gloriously relaxing afternoon! 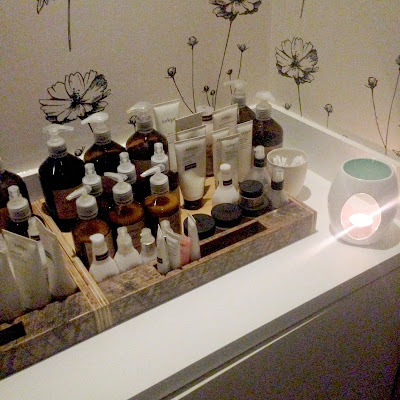 I'm never one to pass up an opportunity for a spa experience and when Jurlique contacted me to try out a facial, I jumped at the opportunity as I had previously enjoyed one last year and knew they were fabulous. Their Classic Signature Facial is a 1 hour treatment, costing $110. It appears you can get these facials and treatments at any sole Jurlique stores (not at Myer counters). "Enjoy a signature face, neck and shoulder massage. Followed by a professional brush cleanse to deeply clean the skin, boost microcirculation and prepare your skin. Then finish with a hand and arm exfoliation and massage." Firstly, the atmosphere of the room was magnificent. It had dim lighting, soft music and subtle scents to welcome you in. 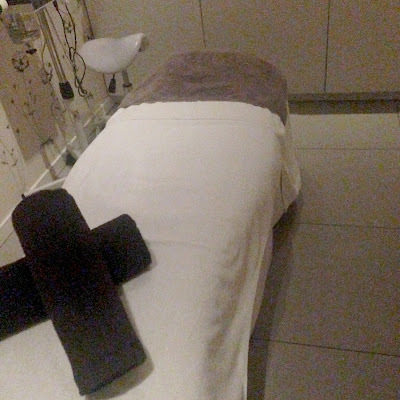 To get the most out of the treatment for my skin, my beauty therapist and I sat and discussed problem features and reviewed my current skincare routine. This was followed my a closer examination by the therapist after a double cleanse. To start the treatment, my face and decolletage was cleansed of any debris using both hands and then followed by an electrical brush to really buff and smooth the surface. As a lot of my skin needed a boost of hydration, my therapist chose to use their incredible Rose Moisture Plus Moisturising Cleanser. This cleanser felt amazing and also smelt beautiful with a subtle scent of roses. Following this, to begin my toning process, their famous Rosewater Balancing Mist was lightly spritzed across my skin. This really revitalises and refreshes you and your skin! Okay, so I can't really tell you anymore from this point on as I was in a constant battle with remaining conscious. This was so relaxing and I left the Jurlique store feeling glowy and like a brand new woman! I had to mentally keep telling myself to not rub and caress my face while walking around the city! My beauty therapist recommend that with my wedding coming closer, she recommends I get a Best Of Both Worlds treatment to feel release my stress and ensure I look and feel incredible on my big day! Have you tried the Jurlique spa treatments before? I adore them! How to take the PERFECT flatlay in 5 steps!